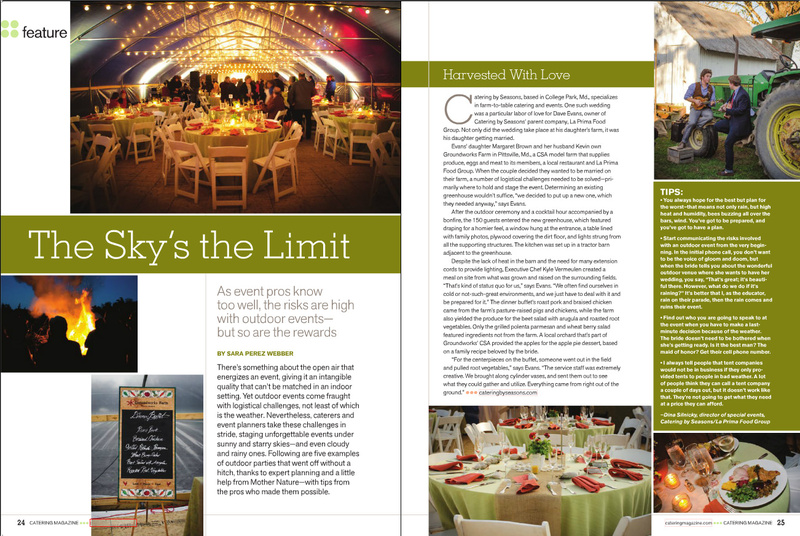 This week, we are excited to announce that Catering by Seasons has been featured in Catering Magazine for our pioneering farm-to-table outdoor weddings. In November 2013, Margaret and Kevin, our partner farmers, tied the knot at home on Groundworks Farm. We featured photos and information about this beautiful outdoor fall wedding on our blog. Now we are revisiting this very special day, thanks to the recent article in Catering Magazine. Take a look at the full issue here.